subscriber of our newsletter chosen in a draw on every other month. Your teeth look less white than you would like them to be? Some of your photos are wrinkled? Colors are faded? You don’t like the background? You have red-eyes because of the flash you used? Wires of the camera accidentally hang into the picture space? No problem! Even pictures made by professional photographers aren’t perfect. 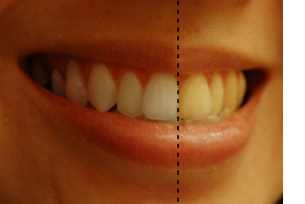 All photographs can be enhanced by a little touching-up. In the age of digital cameras this editing work has become a natural part of photography. Taking pictures with a digital camera is easy, just turn it on and shoot. We can catch rare amazing moments and we have a large selection of pictures taken of the same scene. What we don't need we can easily erase. After downloading the pictures to the computer, at a closer observation in larger size it becomes apparent that the pictures we took are rarely perfect. • unwanted elements on the picture – they were there when the right moment to shoot the subject arrived. Even the worse quality of pictures can be enhanced with the help of computer softwares. • unwanted elements can be edited out. The greater part of our photography is on paper. It may not be their volume but the time frame they embrace surely so. Aging and improper handling distresses these old photographs. • traces of glue, tapes – as a result of fastening to than taking them out of albums. We can correct them all! After corrections, we can make faded, wrinkled, torn and damaged photographs look better than the original. All pictures in our books are color-corrected and you will find no red-eyes on faces. We provide these basic picture-editing works free of charge for all our clients who hire us to custom design and make their books. Would you like to see more ideas? Sign-up for our newsletter. Be the first to know about our new products and discounts. Do you already know what kind of book you want? Use our instant Price Calculator page and find out how much it would cost you to have it professionally designed, edited and manufactured.